Jacobs Engineering Group Inc. has agreed to sell its energy, chemicals, and resources unit to Australia’s WorleyParsons Ltd. for $3.3 billion. Jacobs will receive $2.6 billion in cash and approximately 58.2 million WorleyParsons shares, estimated at $700 million,totaling 11% of the stock. The deal is expected to close in the first half of 2019. Jacobs’ CEO, Steven Demetriou, said the deal is in line with Jacobs’ strategy to focus on higher-growth and higher-profit, infrastructure and commercial projects. With its energy business taken over, the company can continue to work on top priority government projects and commercial client, such as NASA’s effort to go to Mars. “So, buildings, infrastructure, advanced facilities and our aerospace, technology, environment and nuclear business, we feel that’s the place to be over the next many years,” Demetriou said. Jacobs stock price rose 6.6% to US$77.07. The company had risen 10% this year through Friday, compared with a 3.5% decline in the S&P Industrials index. WorleyParsons fell 3% Friday to AU$16.92, and trading was halted on Monday. The price was 11.5 times more than the unit’s earnings before interest, taxes, depreciation, and amortisation, which is higher than current market valuation for similar businesses, Demetriou said. The unit includes Jacobs work in petroleum, chemicals, and mining. Jacobs will have three to six months before the deal closes to determine how it wants to deploy the capital from the sale. Jacobs will initially pay down floating-rate debt with the proceeds. WorleyParsons’ biggest acquisition will be funded by a AU$2.9 billion (US$2.1 billion) entitlement offer at AU$15.56 share, AU$895 million in debt and the shares offered to Jacobs, according to the Sydney based company. 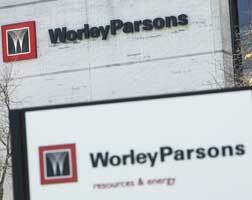 Shares in WorleyParsons were suspended from trading on Monday pending completion of the capital raising. They closed on Friday at AU$17.84 and have risen 24% this year. The acquisition will boost earnings and give WorleyParsons businesses in 27 countries from the US to India, as well as important clients like ExxonMobil Corp. and Codelco. The company’s 2018 revenue is projected atUS$3.4 billion on an aggregated, proforma basis.